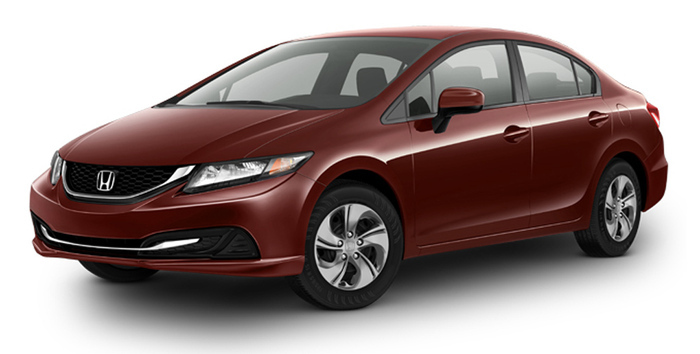 There are few vehicles with a legacy like that of the Civic, and when it comes to fuel efficiency, affordability, available equipment, safety, and style, the 2015 Honda Civic lives up to its reputation. With a brand new Special Edition trim level for the 2015 model, a suite of high-tech standard features, and plenty of available upgrades, the Civic looks like it will continue to lead the ever-growing compact car class and leave competing sedans and coupes in the past. While a high-performance engine may not be a top priority for compact car shoppers, you’ll appreciate the Civic’s balance of power and efficiency when you’re running behind or need to pass a slow-moving commuter. 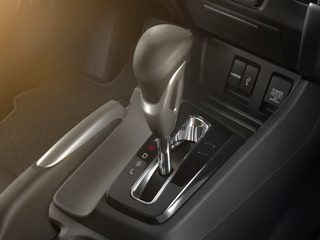 Honda makes both a manual transmission and continuously variable transmission available to give you the control you need, and the Civic has special features like Eco Assist designed to make you an even more efficient driver. This 1.8L 4-cylinder engine is rated at 143 hp and 129 lb-ft of torque. When paired with the standard 6-speed manual transmission, the 2015 Civic earns an EPA-estimated 36 highway mpg. * Upgrading to the available continuously variable transmission raises the fuel economy up to 39 highway mpg* and asserts the Civic’s place as one of the most efficient cars on the road. A CVT does more than improve the fuel economy of the Civic; it ensures that the engine operates at the right gear ratios to maximize horsepower and torque at low RPM. The continuously variable transmission is an integral part of Honda’s Earth Dreams powertrain technology, producing vehicles like the Civic that refuse to compromise on power or efficiency. 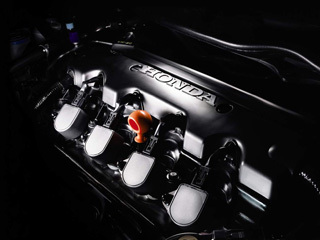 Optimizing the engine performance and improving the response of the Civic’s accelerator, the standard drive-by-wire throttle system connects your gas pedal to a butterfly valve in the car’s intake manifold to adjust response time and deliver optimum acceleration response, regardless of the driving conditions. Not only is the Civic engineered for efficiency, it’s built to make you a more efficient driver. Coaching bars positioned on both sides of your speedometer change colors (from blue to green) the more efficiently you drive. The longer you stay in the green, the more efficiently you’re driving your Civic. You won’t always need all 143 of those horses, and when you would rather conserve fuel, more efficient driving can be yours with just the push of a button. If you find yourself in need of maximizing your performance, just push the ECON button again and let those horses go free. The Civic is innately efficient, but Honda knows that some drivers want more in the way of eco-friendly cars. And Honda delivers. 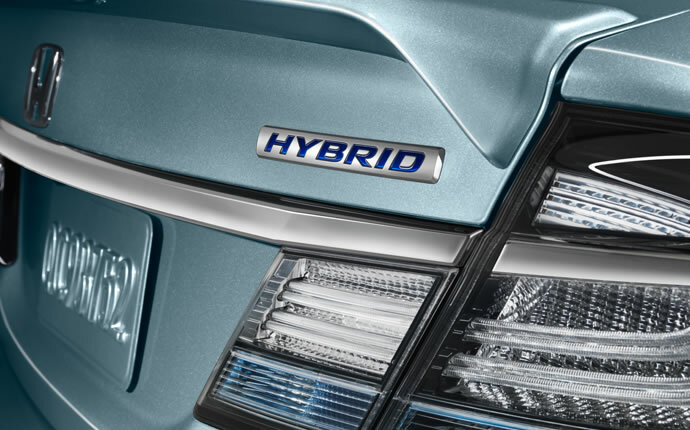 The 2015 Honda Civic Hybrid is rated at an EPA-estimated 47 highway mpg* and the Civic Natural Gas runs on natural gas (as you might expect) for a cleaner-burning fuel option. Affordability and fuel efficiency are hallmarks of the Honda Civic, but they mean nothing without the decades-long emphasis Honda has placed on safety. Standard features like the ACE body structure, the rearview camera, and the advanced airbags can be found on all Civic models. 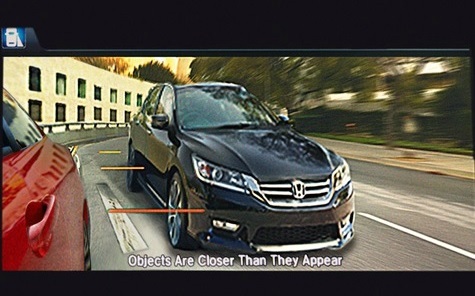 Extra levels of safety like the Honda LaneWatch blind-spot warning system or a multi-angle rearview camera can be added on as well. 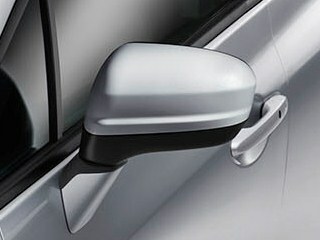 There is no replacement for actively checking your blind spot, but the available Honda LaneWatch system is close. Once you flip your passenger-side turn signal on, a camera in the passenger-side mirror displays what’s directly in your blind spot. It can also be expanded onto the larger 7-inch Display Audio screen. 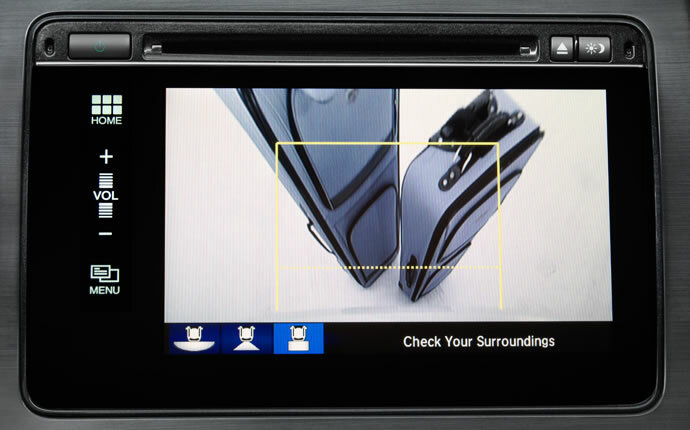 Standard on the Honda Civic, the built-in rearview camera comes with guidelines that make it easy for you to back up with an unobstructed view of what’s behind your car. Models with the available navigation system feature a multi-angle camera that gives three distinct views for extra peace of mind. 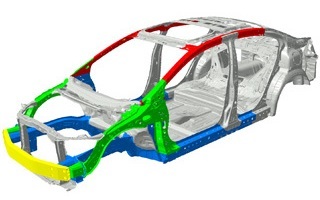 ACE stands for “Advanced Compatibility Engineering,” and it is the design that informs every inch of the Civic’s frame. Built to both crumple in the right places during an accident and redirect energy away from the Civic’s occupants, the ACE body structure is a state-of-the-art safety feature exclusive to Honda. To prevent the Civic’s wheels from locking up during hard and intense braking, anti-lock brakes feature a modulator that pulses your brakes and keeps you in control. 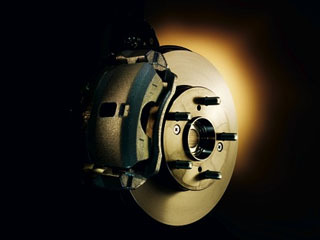 The electronic brake distribution system ensures that the right amount of braking force goes to each wheel regardless of the weight distribution in the Civic. Airbags have come a long way in recent years, and the Civic features SmartVent side airbags that deploy rapidly and vent almost immediately to reduce the risk of airbag related injuries. 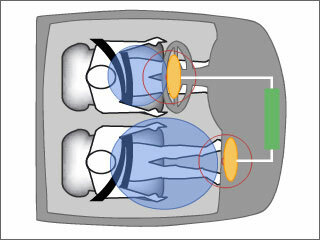 The multi-threshold dual-stage front airbags even account for the size and weight of front occupants to expand with the right amount of force. If the Civic detects that you’ve lost traction or are experiencing over- or under-steer, the vehicle stability assist system can adjust engine power or even brake individual wheels to help put you back on the path you were on. 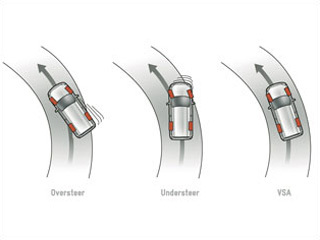 With traction control, the chance of wheel-spin while accelerating is reduced greatly. Though the Civic competes with compact cars, we wouldn’t dare call it “compact.” With seating for up to five, up to 94.6 cubic feet of passenger space, and a suite of modern amenities like Bluetooth HandsFreeLink and Honda’s i-MID infotainment system, it’s easy for everyone to get comfortable and settle in for a long ride. Optional amenities like a navigation system and HondaLink telematics mark the Civic as one of the most advanced vehicles on the road. 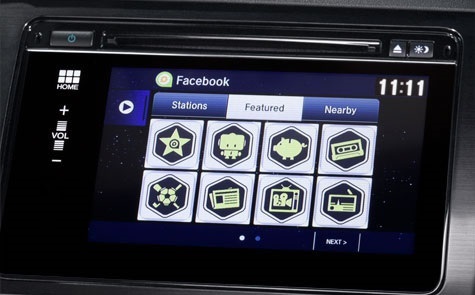 Found on SE and higher trim levels, the Civic’s 7-inch display audio interface is a touchscreen that gives you direct control over your phone, audio, vehicle settings, HondaLink, and even the available navigation system (if equipped). It also gives you a clear and zoomed-in view of the Honda LaneWatch camera when changing lanes, so that you can easily check your blind spot. Controls like pinching and swiping work just like your smartphone. Honda’s available telematics system is designed with the help of Aha, letting you easily access social media, news, audiobooks, Internet radio, and even personalized restaurant searches. When it’s sensed a deployed airbag, HondaLink will even assist and call for help in the event of an accident. Managing its features is as easy as using the apps on your phone. 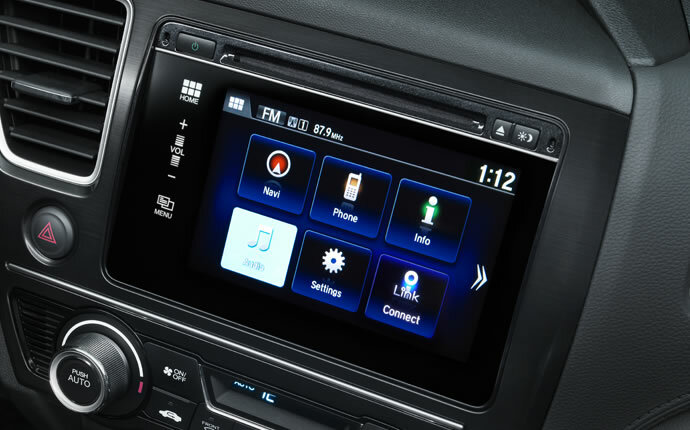 Honda built their Bluetooth interface to be user-friendly and intuitive, syncing up your compatible smartphone with the Civic automatically to make handsfree phone calls and stream audio wirelessly. And the best part? Bluetooth HandsFreeLink is found standard on every 2015 Honda Civic; there’s no need to upgrade for this essential modern feature. 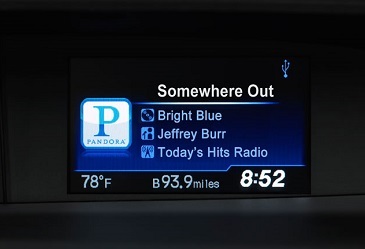 An available option on the Civic EX-L, Honda’s satellite-linked navigation system will give you turn-by-turn directions to wherever you’re headed, but it does more than that. 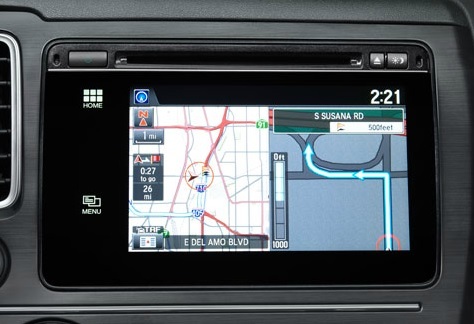 With the Civic’s navigation system, you can be routed around accidents and traffic to get where you’re going without delay. 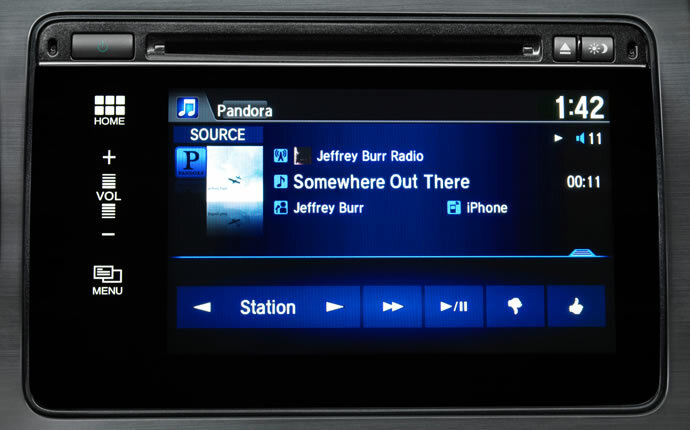 It also adds voice controls onto your i-MID infotainment system. It stands for intelligent Multi-Information Display, and it comes standard on every Civic with a five-inch touchscreen interface. Manage your music, see your current album info, display SMS texts, and choose the right station from your Pandora internet radio all from one convenient place. 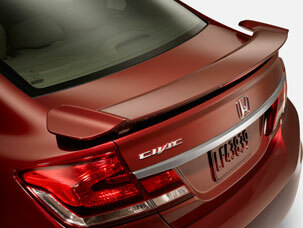 The i-MID is even customizable, so that your Civic can better represent your personality. Texting and driving is dangerous, but sometimes you need to be connected at all times. Your compatible smartphone can have its texts routed through the i-MID screen and put on display, so that you can read them with just a glance. 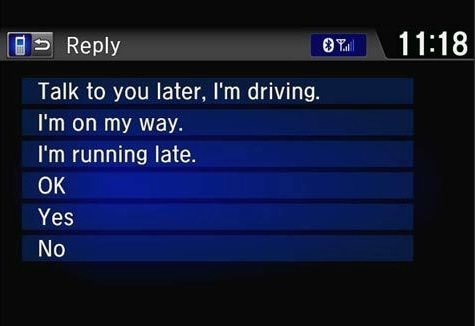 There are even pre-programmed responses you can send with the push of a button. Gone are the days of the boring small car, and it’s due in large part to vehicles like the 2015 Honda Civic. 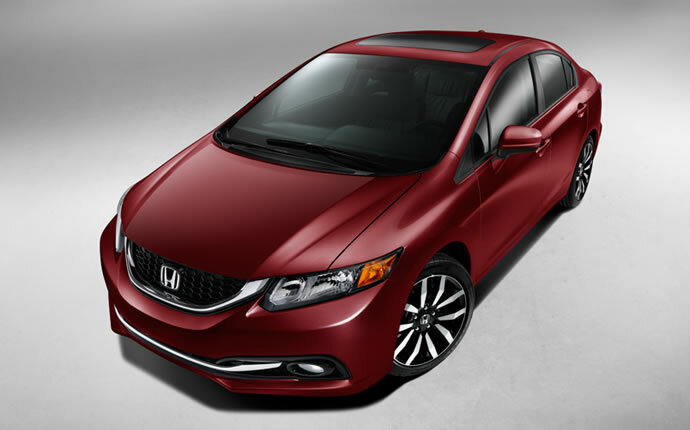 Available in both stylish two-door coupe and practical four-door sedan designs, the Civic has an aerodynamic sculpt, a variety of unique wheel options, and a color palette that has a shade for practically any driver. And Smart Entry lets you open the door without having to fish out your keys. Though the sedan looks great, the best way to see the Civic’s unique sense of style on display is on the two-door Coupe body style. It features a smooth profile that’s set to cut through the air with ease, and the rear lip of the trunk lid has just a bit of a curl to provide the effect of a spoiler while still remaining subtle. Honda has eight different colors on the Civic Sedan (Modern Steel Metallic, Crimson Pearl, Dyno Blue Pearl, Taffeta White, Alabaster Silver Metallic, Crystal Black Pearl, White Orchard Pearl, and Urban Titanium Metallic) and six different colors on the Civic Coupe (including the Coupe-exclusive Rallye Red). We can’t pick the color for you, but we’re partial to the Rallye Red and the Dyno Blue Pearl. This available feature lets you walk up to your Civic with your keys still in your pocket, press a tiny button on the door handle, and open your locked car. 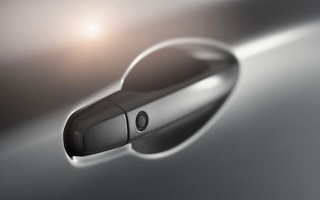 No more fumbling for keys when you’re in a hurry, and you can lock your Civic with that same button. Whether you’re parallel parking, trying to squeeze into a tight garage, or making your way down a narrow alleyway, you can get a few extra inches of peace of mind with the Civic’s available power folding side mirrors. When it’s not folded in, the expanded-view driver’s mirror even gives you a wider angle to see other cars. 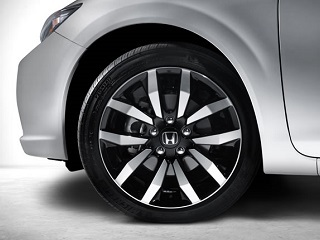 The standard steel wheels are built to last, but Honda also has 15-, 16-, and 17-inch alloy wheels that are lighter and help complement the sleek style and unique color options of the 2015 Honda Civic. 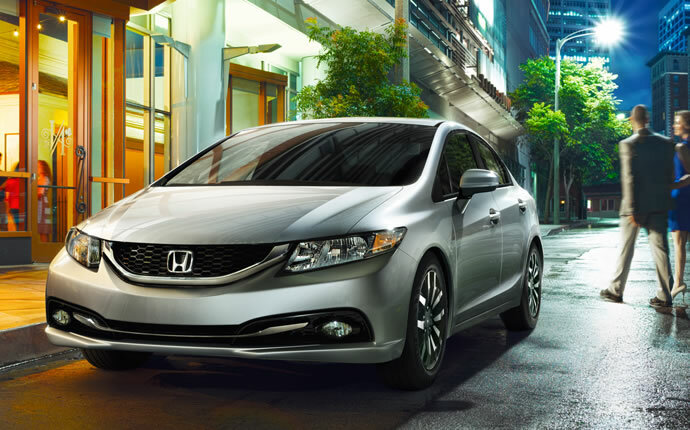 From the LX to the EX-L, the Civic’s wheels not only get you where you need to go, they help you look good doing it. Exterior accessory options ranging from body side molding to underbody spoilers (front, rear, and side) to a set of splash guards all work to keep your Civic looking stylish and/or like-new for years to come. There’s even a nose mask available to protect your front end from stray rocks, pebbles, and debris. *MSRP excluding tax, license, registration, $820.00 destination charge and options. 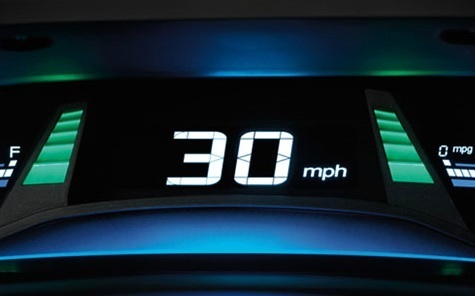 *30 city/39 highway/33 combined mpg rating for CVT models. Based on 2015 EPA mileage ratings. Use for comparison purposes only. Your mileage will vary depending on how you drive and maintain your vehicle.